With Aurionpro, you can accelerate digital innovation and gain unfair market leadership. Create a unified and personalized customer experience with ACE Platform. Cyberinc is dedicated to help enterprises secure their digital businesses and expand their security perimeter with a blend of highly innovative security products and services. The web browser, its extensions and plugins are now one of the top channels for cyber-attack. Isla Malware Isolation solution, based on a game-changing Isla technology prevents cyber-attacks, ensuring the end of web malware. We deliver enterprise scale solutions that help CISOs address the top two threat vectors of the digital age – information loss through web based malware threats and unauthorized access. On January 3rd, 2018, Cyberinc sold its IAM business to KPMG USA and the transaction was closed on January 31st, 2018 as scheduled. The banking industry across the globe is going through a process of revolutionary change in technology by reducing the role of today's bank and giving institutions and individuals an opportunity to create better, faster, and cost-effective services that make them an even more essential part of everyday life. The need for open innovation, collaboration, and investment in the right direction will lead traditional banks to the path of digital banking. Aurionpro’s Loan Origination System product suite is an end-to-end integrated credit risk management system which improves productivity, enhances credit quality, and reduces operational risks. FXConnect is an end-to-end, integrated real-time product for FX branch transaction processing, which enables banks and their customers to view and negotiate FX rates in real-time across products. Leverage our Industry Solutions to strengthen your core processes & systems. Our solutions have delivered up to 60% in productivity and efficiency improvements. Aurionpro is a technology products and solutions provider that helps enterprises Accelerate Digital Innovation, Securely and Efficiently. Aurionpro can help maximize revenue, intensify loyalties and enhance efficiencies for you. excellence and building purposeful solutions for clients. The Company recorded Revenue of Rs. 115 Crs during Q3FY19, as against Rs. 94 Crs in Q3FY18 a growth of 22%. EBIDTA for the quarter stood at Rs. 29 Crs higher by 40% as compared to Q3FY18 of Rs. 20 Crs. EBIDTA margins expanded by 327 bps to 25% as compared to Q3FY18. The Company recorded a PAT margin of 13.5% higher by 203 bps as compared to Q3FY18. PAT for the quarter stood at Rs. 15.5 Crs with a growth of 44% Y-o-Y. The Company recorded Revenue of Rs. 369 Crs during 9MFY19, as against Rs. 308 Crs in 9MFY18 a growth of 20%. EBITDA for the 9MFY19 stood at Rs. 82 Crs as against Rs. 59 Crs in 9MFY18 an increase of 39%. EBIDTA margins stood at 22.2% as compared to 19.1% for 9MFY18 an increase of 312 bps. PAT for the 9MFY19 stood at Rs. 47.4 Crs as against Rs. 25.0 Crs in 9MFY18 an increase of 90%. PAT margin grew by 474 Bps as compared to 9MFY18. PAT margins for the quarter stood at 12.8%. A leading regional bank in Kenya selects BTO enabled self-service capability to help corporate users to access various corporate services offered by the bank. One of the top 5 private commercial bank in Sri Lanka in market capitalization to offer convenient and unified digital banking services. One of the Leading bank in Singapore goes live with Credit Master (SMLC) Revised Pricing Framework Integration for Risk Based Pricing (RBP) and applicable to all credit exposures (except exposures to derivative products) under Group Wholesale Banking. One of the Leading bank in Singapore goes live with CCRIS Phase 3 Integration for Corporate, Commercial and SME Loans (SMLC) in Malaysia. One of the fastest growing bank in Thailand goes live with Retail Loans (SMLR) as part of Digital Banking Services. 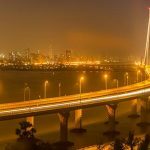 Aurionpro has established a complete end-to-end Savings Account Opening Automation ecosystem for a large multi-national bank in India. This includes on boarding of new customers for Savings Account along with Credit Card and Wealth Management Services. 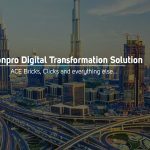 Aurionpro was selected as the preferred partner for this prestigious project as ACE platform provided the flexibility and scalability and greatly reduced the time to market their offerings to their end customers. Eventually the Bank intends to extend the ACE platform across multiple customer journeys and culminating in their vision of the digital bank. Aurionpro is investing and expanding into various segments such as Metro AFC, Metro 5D BIM and ITMS, 3D City, Smart City, City WiFi & Surveillance, e-Governance Solutions, Deployment of high calibre technical man-power for important Government software development projects, etc. to cater the expanding demand in Government sector. Our Noida metro project which is one of our prestigious projects for Automated Fare Collection (AFC) System is expected to run its first passenger train on 25th January 2019. The implementation of this project was completed in a record time of 8 months which displays Aurionpro’s strength in acquiring and implementation of multiple project going forward. “We are pleased with the performance of your company for Nine Months ended December 2018 with revenue growth of 20%, EBITDA growth of 39% and Net Profit growth of 90%. There has been a comprehensive growth within all business segments witnessing further growth momentum. We have surpassed the full year profitability achieved in FY18. 9MFY19 PAT is up by 24% as compared to full year PAT of Financial Year 2018. Higher profitability has been achieved on the back of focus on IP revenues and cost efficiency programs run across the company and higher utilization of existing resources which has helped to play out the operating leverage. There has been a surge in enquires for our cyber security business in the past couple of months and we are hopeful of reflecting it in enhanced order flows in near future which will boost our revenues and profitability. Aurionpro Solutions Ltd (ASL) is a global technology solutions leader that helps enterprises accelerate their digital innovation, securely and efficiently. It combines core domain expertise, thought leadership in innovation, security and leverages industry leading IP to deliver tangible business results for global corporations. Employing more than 1,000 domain and technology experts across North America and Asia, Aurionpro caters to a host of clients across BFSI, Cyber Security and Smart Cities and Smart Mobility sector across the globe. Please visit: www.aurionpro.com. Statements in this document relating to future status, events, or circumstances, including but not limited to statements about plans and objectives, the progress and results of research and development, potential project characteristics, project potential and target dates for project related issues are forward-looking statements based on estimates and the anticipated effects of future events on current and developing circumstances. Such statements are subject to numerous risks and uncertainties and are not necessarily predictive of future results. Actual results may differ materially from those anticipated in the forward-looking statements. The company assumes no obligation to update forward-looking statements to reflect actual results changed assumptions or other factors.